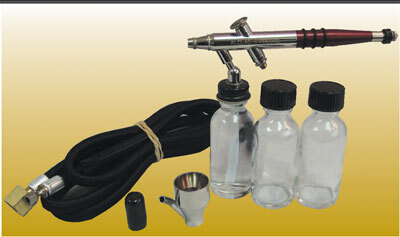 The ACCURATE airbrush is the simpletst to use fine spray airbrush. Single action simplicity-Internal mix fine dot colour atomization. Excellent for fine scale model finishing. 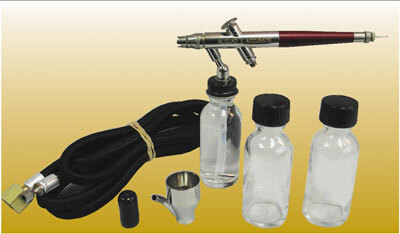 0.5mm nozzle sprays pencil line to 2″ spray pattern. 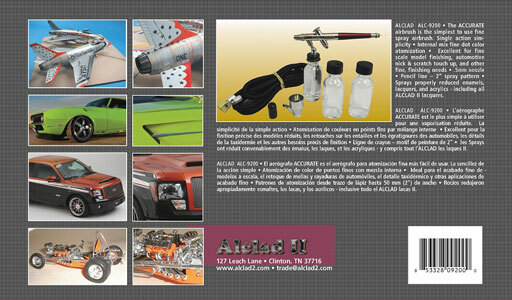 Ideal for applying all Alclad products. 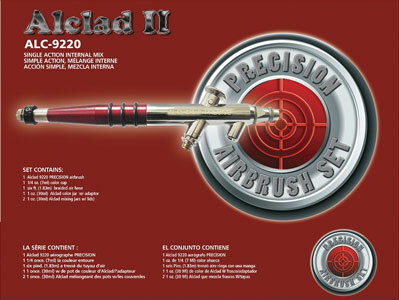 The PRECISION airbrush is an easy to use finite detail airbrush. Single action simplicity-Internal mix extremely fine dot colour atomization. Paint flow adjusting system enabling repeat accuracy in spray pattern and line control. 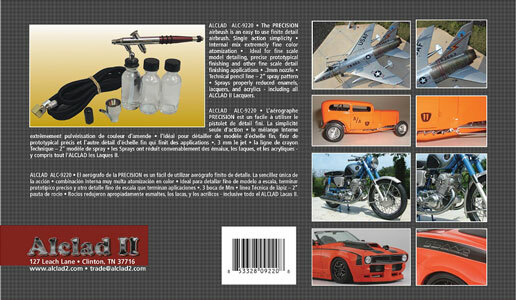 Excellent for fine scale model detailing, precise prototypical finishing and other fine scale detail applications. 0.3mm nozzle sprays technical pencil line to 2″ spray pattern. 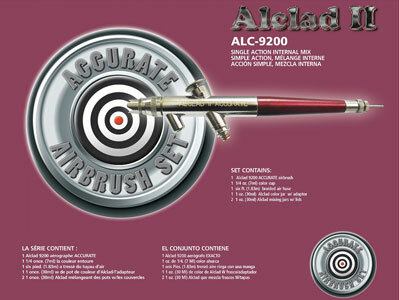 Ideal for applying all Alclad products.